The Italian Caffe – Glasgow's First Enoteca Restaurant. Glasgow has long had a reputation for being home to some superb family run Italian cafes and restaurants.  But the enoteca caffe is different to anything that’s come before – in Glasgow that is. Enotecas have evolved from the tavernae vinariae of classical Rome. These were places Romans would stop and enjoy a glass of wine and pass the time with other citizens. We think we can offer slightly more comfortable surroundings. By giving our customers over 34 wines to choose from, 25 of which are available by the glass, accompanied by small plates, piccolo piatti, of great Italian food we’ve created a haven for lovers of Italian restaurants. Have a look at our wine list and menu on this site.